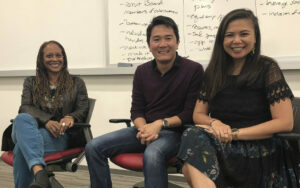 LACI was selected by researchers at the University of Southern California’s Greif Center for Entrepreneurial Studies to be the subject of a case study about diversity and inclusion. The study explores the first year of LACI’s Diversity and Inclusion efforts, including key decision points, achievements, and challenges faced along the way. The case study is being distributed through USC’s partnership with Harvard Business Review and the CaseCentre for use in classrooms around the world.